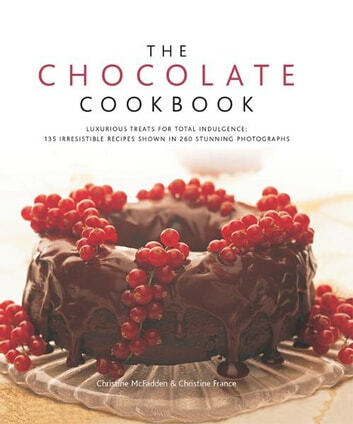 Discover the wonderfully indulgent world of chocolate with this irresistible cookbook, containing 135 fabulous recipes gathered from all over the world. Chapters that ooze chocolate include Treats; Special Occasion Cakes; Desserts; Tarts, Pies and Cheesecakes; Ice Creams and Sorbets; Cookies, Slices and Bars; Candy, Truffles and Drinks; and Sauces, Frostings and Icings. You will be spoilt for choice with such luxurious treats to tantalize your tastebuds from classics such as Chocolate Profiteroles, Chocolate Truffles and Chocolate Pecan Torte to Mud Pudding, Chocolate Chunk Ice Cream and White Chocolate Macadamia Slices. 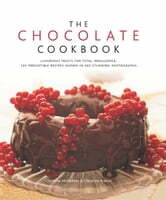 With a guide to ingredients and cooking techniques that show you how to temper, melt, drizzle, pipe, marble, curl, scroll, coat, grate and decorate with chocolate, you will have all the detailed instruction and inspirational recipes you will need to get started immediately, and the clear, concise step by step instructions will guarantee you great results every time. Author, Christine France, is a food writer with over twenty years' experience. After training as a home economist, Christine spent many years working as both an editor and a contributor on many women and special-interest magazines, before setting up her own food and cooking consultancy. Joint author, Christine McFadden, has many years' experience as a food writer and editor, contributing to a variety of magazines and publications such as BBC Good Food, House and Garden and Healthy Eating.